From time to time the whole choir engages with other organisations such as the International Organ Festival, the BBC (The Big Sing and Songs of Praise) and John Rutter (Royal Albert Hall Christmas concerts). But for private events a smaller group is available for hire (please see the form below). The St Albans Celebration Choir (Facebook Page) is run independently of the St Albans Bach Choir though drawing its singers exclusively from choir members. Formed in 2011, it offers a polished and uplifting performance to smaller functions and special occasions, very popular with weddings, funerals and other celebrations. Engagements are considered anywhere within reasonable travelling distance of St Albans. "I remember standing at the altar with goosebumps all over my arms and tears rolling down my face, not because I was getting married but because your voices were so powerful." Special requests can always be considered, subject to availability of music and suitable vocal resources. "The sound of the choir and organ on entering the church was unforgettable and set the tone, not only for the service, but for the whole day. We are in no doubt that the musical side of the ceremony contributed enormously to the occasion and helped make it such a wonderful uplifting celebration of our marriage and has left us with memories which will stay with us forever"
Photo credits: Zoe Cooper Photography, Mark Sisley Photography, used by permission. 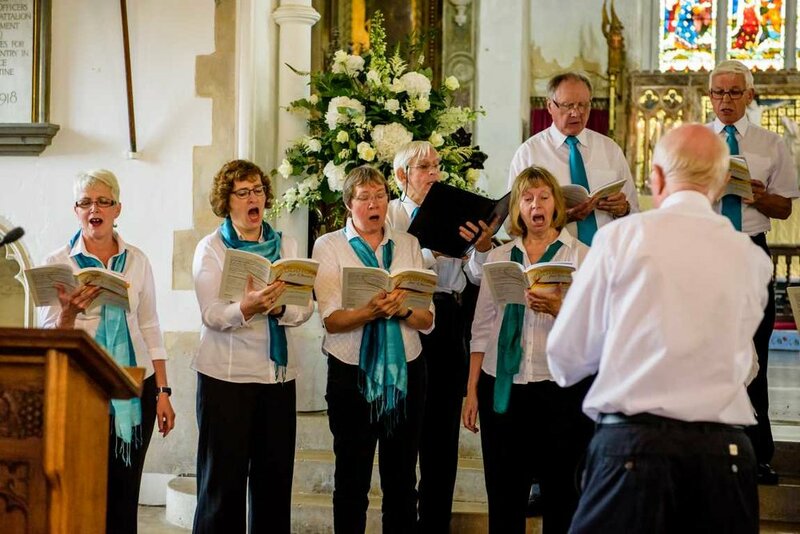 If you wish to hire the St Albans Celebration Choir please complete the form below with details of your event and we will contact you as soon as possible.